1. 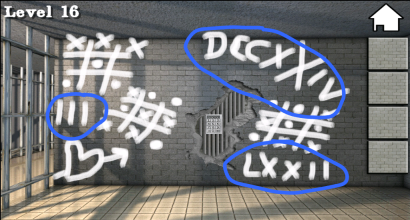 Read the roman numerals on the walls. Put them together to get the passcode: 724372, press OK.